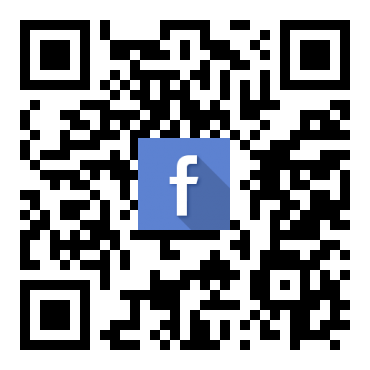 Scan and download AlienVoIP Android App! 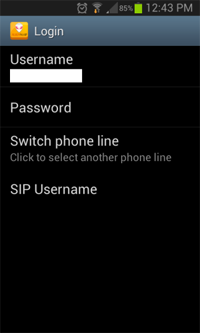 Requires Android: 2.2 and upAlienVoIP’s newly developed Android Client App is designed to connect to AlienVoIP server and provide good quality VoIP calls to almost all of the countries worldwide. 1. 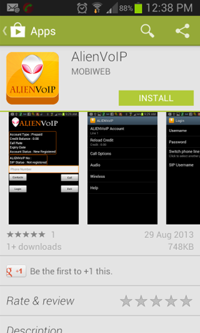 Before you start, please download AlienVoIP Android App from Google Play HERE. Please click above to enlarge image. 2. Tap to install. 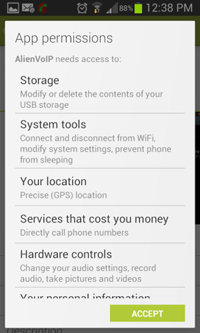 Review the list of permissions then tap again to accept. 3. Wait for the AlienVoIP app to install. 4. 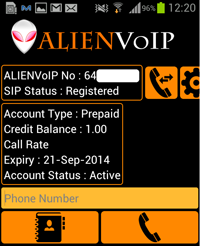 Run the AlienVoIP app in your Android. At this point, the Account Status will display “New Registered” and SIP Status will display “Not registered”. Please click the Phone icon to login. 5. 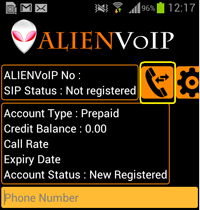 Tap to login and then enter your AlienVoIP account username and password. If you have not registered with AlienVoIP, please click HERE to register. 6. Your account information will be displayed after a successful login to the apps. Below is the example account information after login. 7. Enter your destination number then press the Send button. 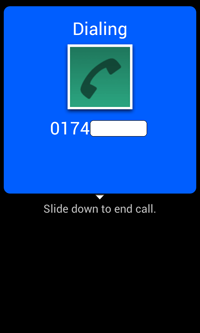 Call rate is based on the destination number that you have entered. For international call, remember to enter 00 first, follow by country code, area code and lastly your destination number. 8. Your phone call is now in progress. 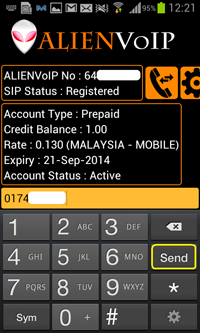 NOTE: Alienvoip softphone build-in with call recorder, it may not works properly if third party call recorder is active.